We would like to let you know about our office. 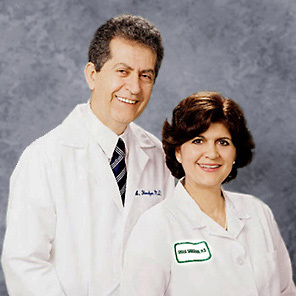 We are a husband and wife primary care team, based in Orange County. We and our staff at Secure Health work hard to provide our patients with the highest quality of care. You will find navigation keys on the left and on the bottom to help you view our site. Mon, Tues, Thurs 8:30 a.m. to 5:30 p.m. Wed 8:30 a.m. to 12:30 p.m.
Fri 7 a.m. to 1 p.m.
To cancel an appointment, kindly call us 24 hours in advance. Site created by Roozbeh Houshyar.